During your senior year, you will participate in a Capstone Design project - a unique opportunity to apply your presentation skills and technical knowledge to a team design project in one of three areas: rotorcraft, fixed-wing, or spacecraft. Many seniors also choose to take their design project to the Capstone Design Expo, an Institute-wide demonstration of creativity, entrepreneurship, and, well, great engineering. 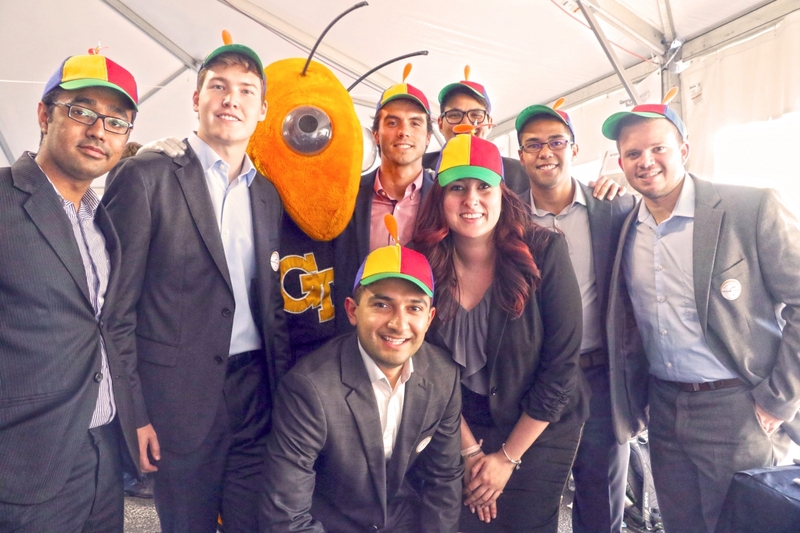 Students from all of the Institute's engineering schools -- and many other GT schools -- flock to the evening-long event to demonstrate their mastery of foundational and advanced concepts while also sharpening their collaboration and presentation skills. It is also a time when many AE alums come back to serve as judges -- and, unofficially, to recruit future employees from among the graduating seniors. The Expo culminates with an awards ceremony where the best projects from each school, as well as the best project overall, are recognized.